The index opened strong around 8377 and stayed strong making a high of 8398.45 but closed a bit lower at 8370.70, gain of 42.35 points. The broader market was strong with 1071 advances to 521 declines. Range has been expanded to 8000-8700. 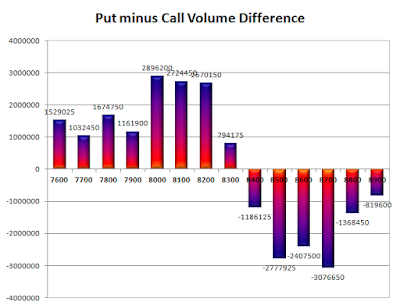 Call option 8300-8900 added 12.54 lacs OI with short covering at 8200 and below strike prices. Put option 8600-8000 added huge 37.07 lacs OI with profit booking at 7900 strike price. 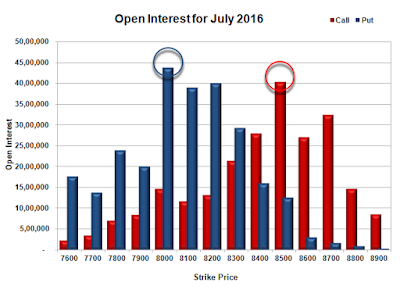 Nifty Open Interest is at 1,90,78,800 up by 3,24,750, with increase in price, probably long build-up. 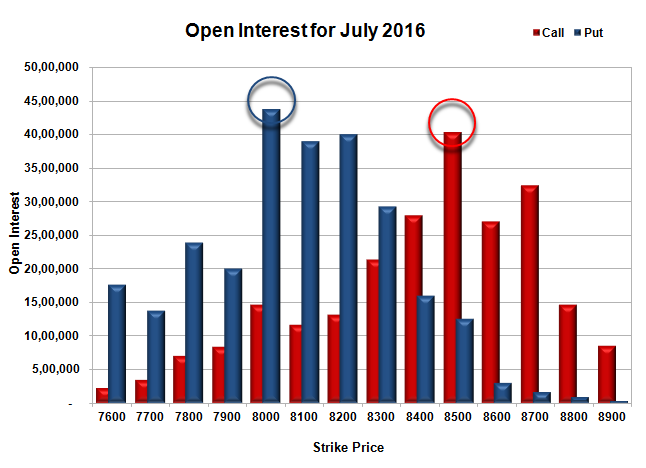 Bank Nifty Open Interest is at 19,32,080 up by 1,06,880, with increase in price, probably huge long build-up. 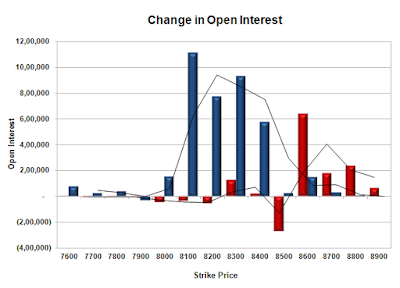 FII’s bought 1374 contracts of Index Futures, which includes net 5074 contracts long build-up and 3700 contracts short build-up, with increase in net OI by 8774 contracts, includes 20165 longs to 18791 shorts for the day. FII’s Index future open contract as on date is 188718 Longs to 41385 Shorts, Net long 147333 contracts. Initial support at 8300, with huge OI addition of 9.26 lacs and below that at 8200 with OI of 39.95 lacs. Initial resistance at 8400, with OI of 27.89 lacs and above that at 8500 with OI of 40.39 lacs. 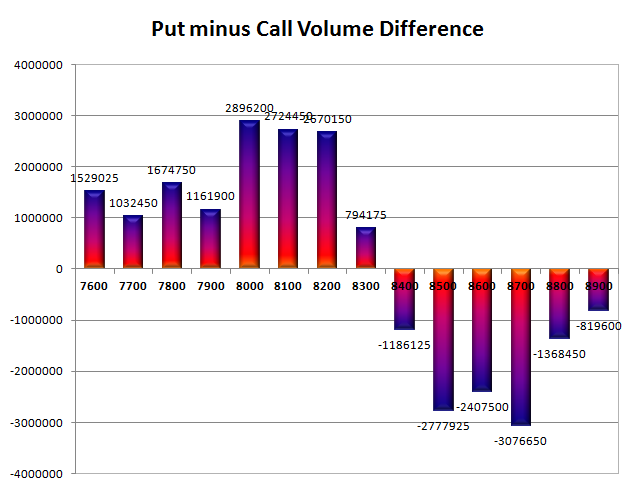 Day Range as per Option Table is 8305 - 8446 and as per VIX is 8302 - 8439 with 8378 as the Pivot.